The super compact music player comes with a shuffle button, a one-hour timer and a mini USB cable for charging. When fully charged, it will play for up to 18 hours. 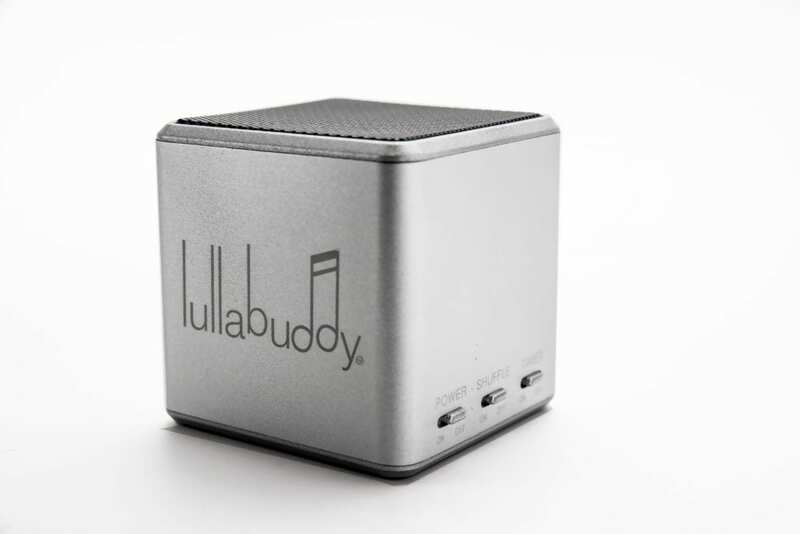 The music was remastered specifically for the Lullabuddy with wonderful sound quality. The speaker is also Bluetooth enabled so that other music can be played from a mobile device. Lullabuddy is easy to use. Just press play and enjoy.